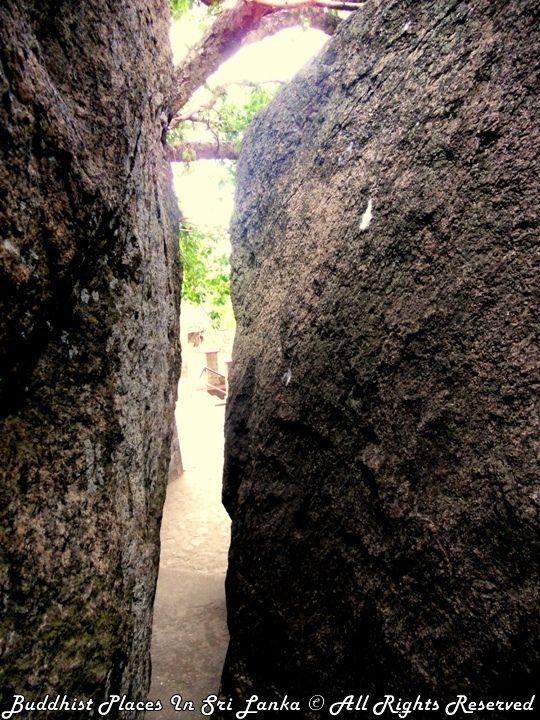 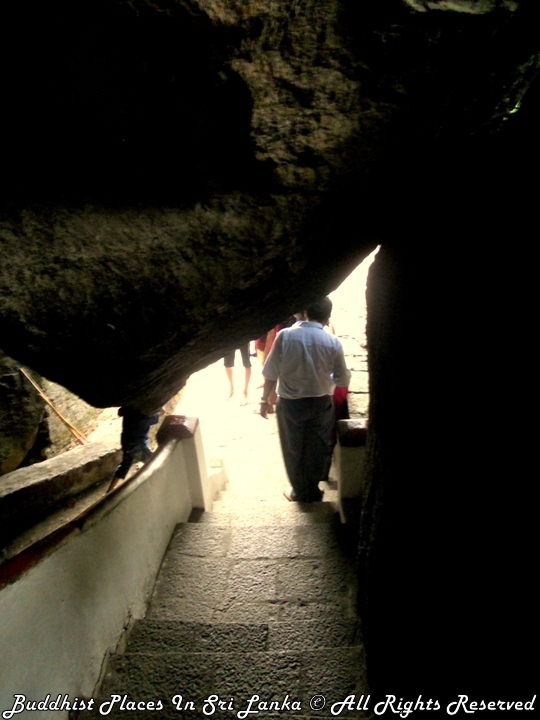 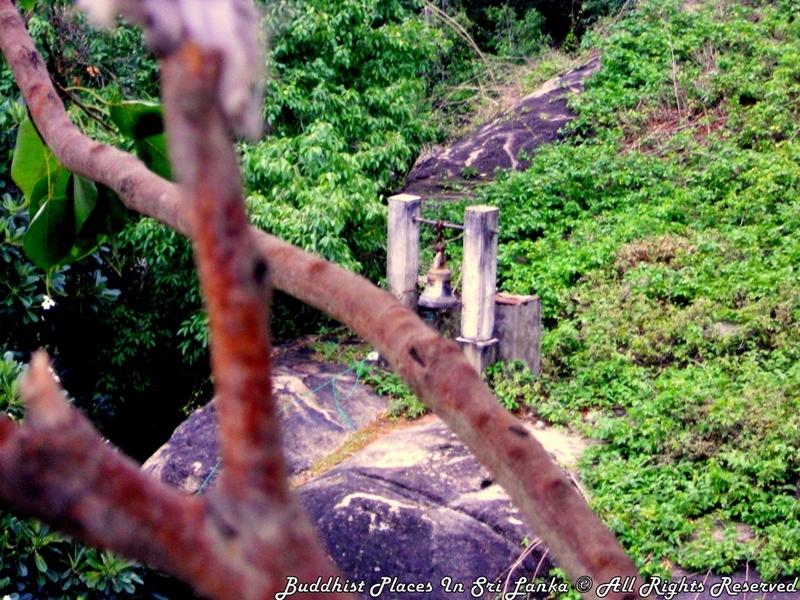 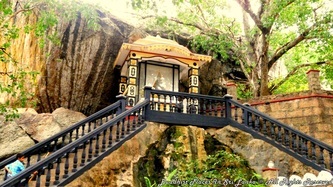 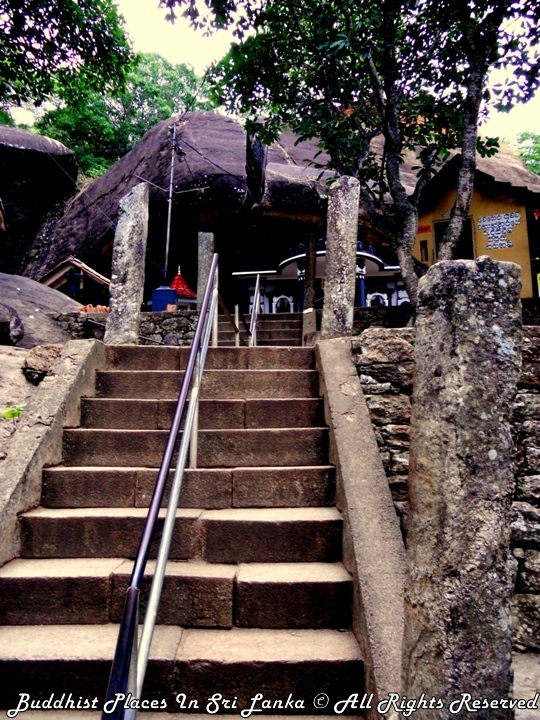 This temple consists of natural dens, caves, as well as recently built shrines and buildings. 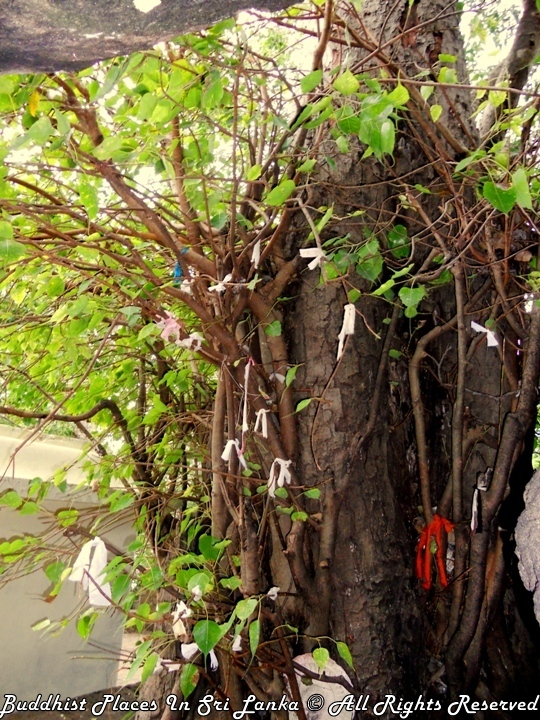 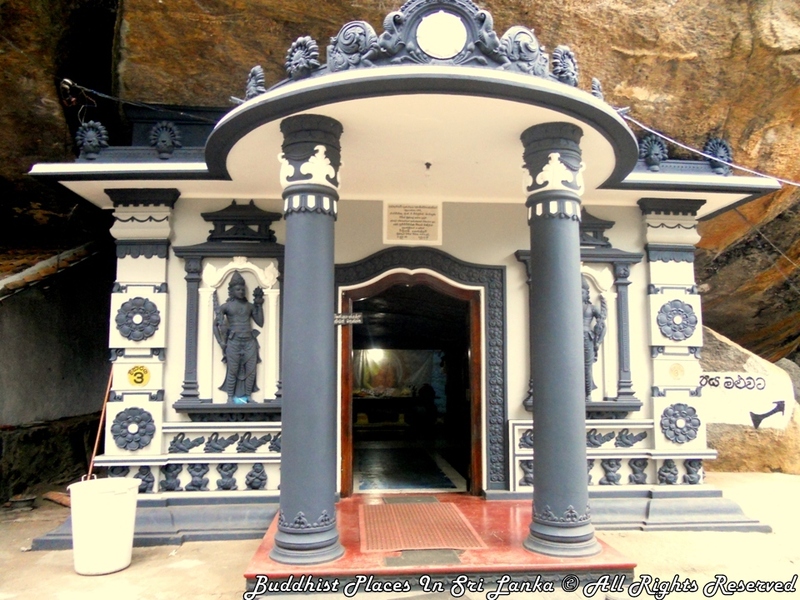 The history of this temple traces back to the time of B.C.According to the legendary accounts, there had been ten giants in king Dutugemunu's troops. 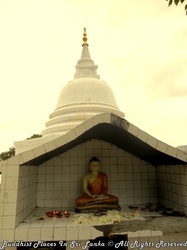 Giant Pussadeva was one of them whose duty was to inform the king's battle victories to the subjects, by blowing a conch shell. 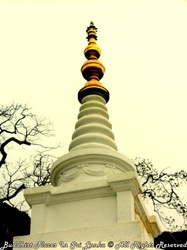 Also his symbol was the conch shell itself.Later on he had built this great sacred place and become a Buddhist monk there. 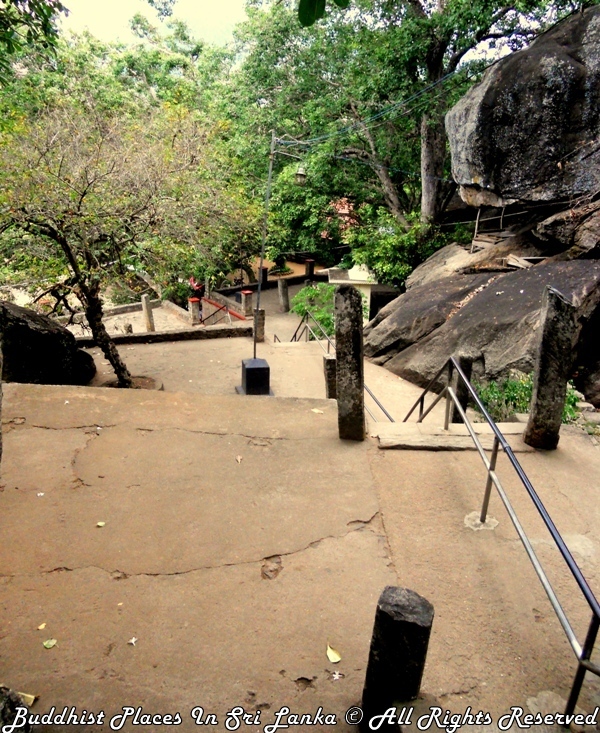 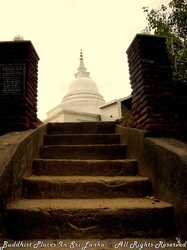 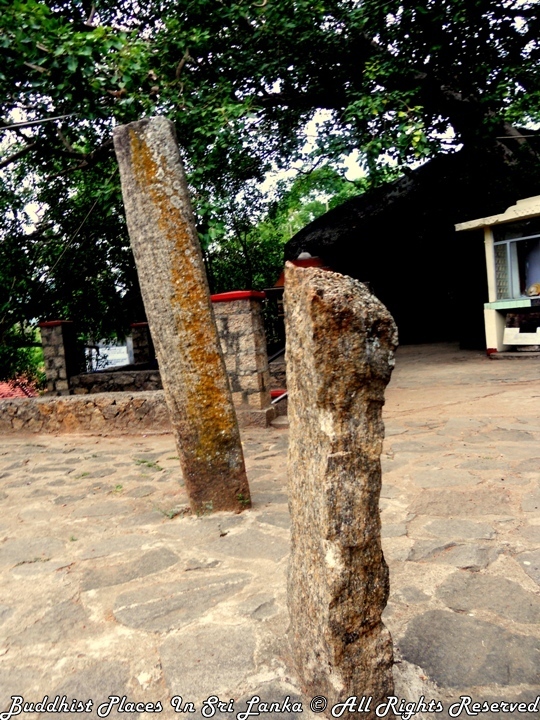 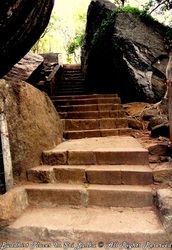 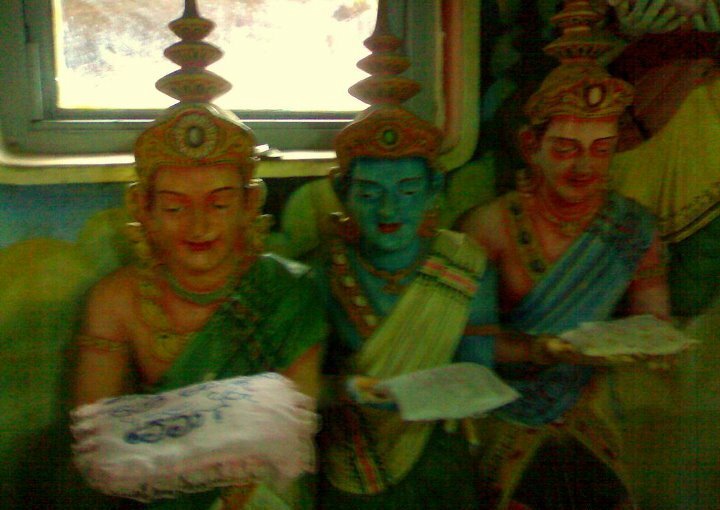 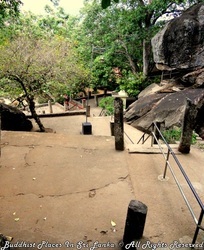 Having won the Vijithapura war this area had been offered to Pussadeva by king Dutugemunu, for taking the priority in the war. 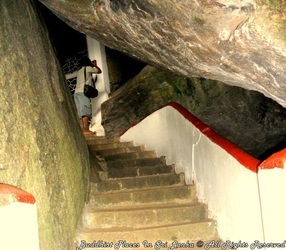 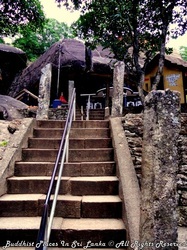 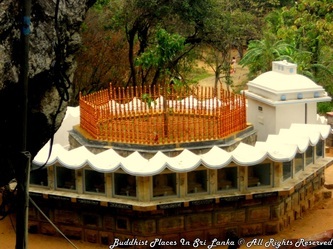 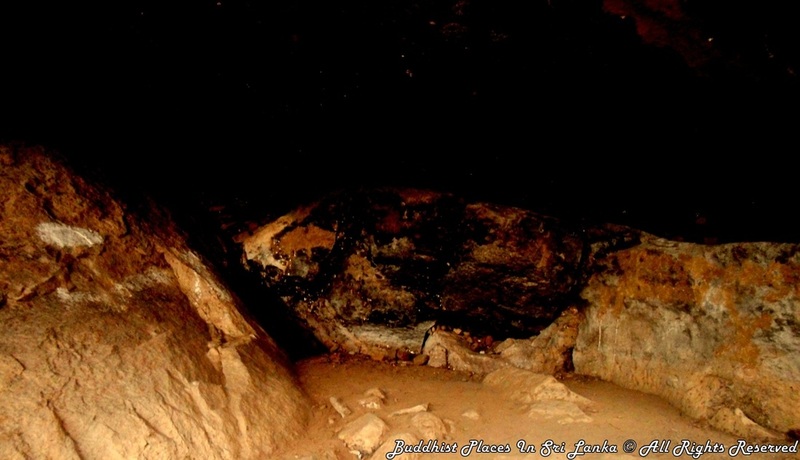 According to legends, the conch shell he used at "Vijithapura war" has been entombed in a rock called Hakgedi Gala (Conch shell rock) which is situated on the top of the mountain. 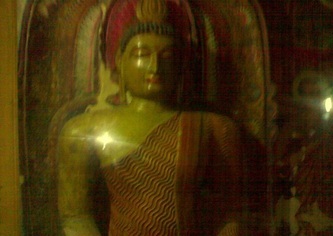 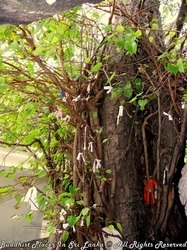 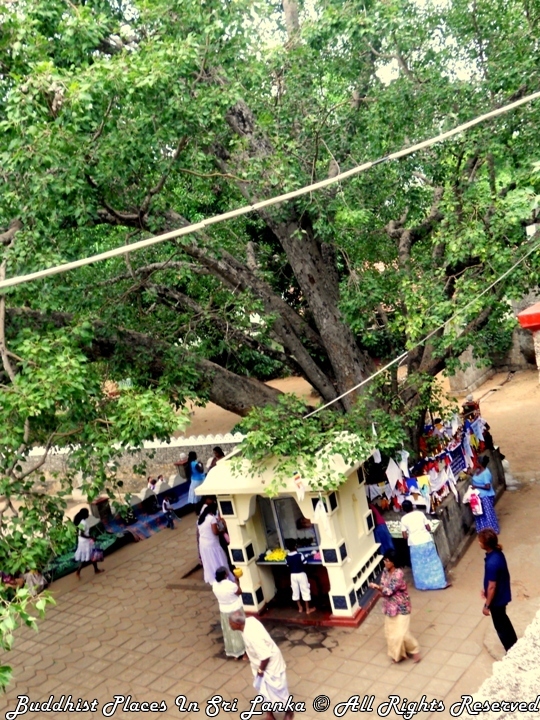 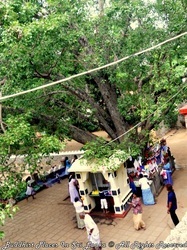 As a result this temple has been named Sankapala temple. 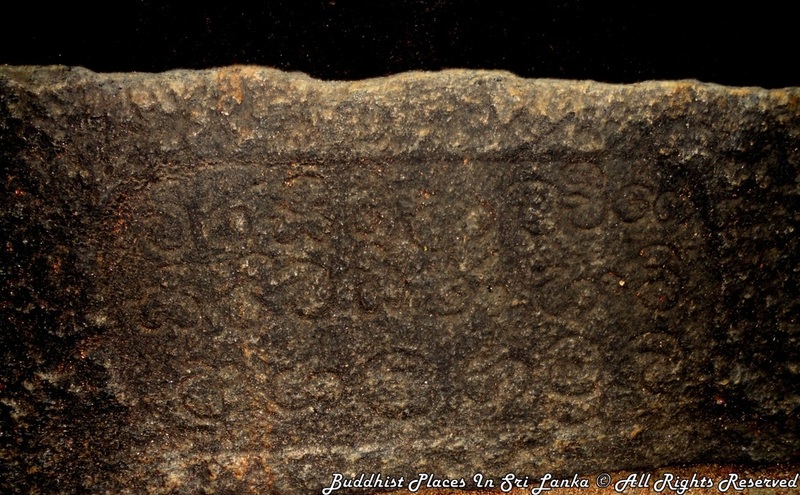 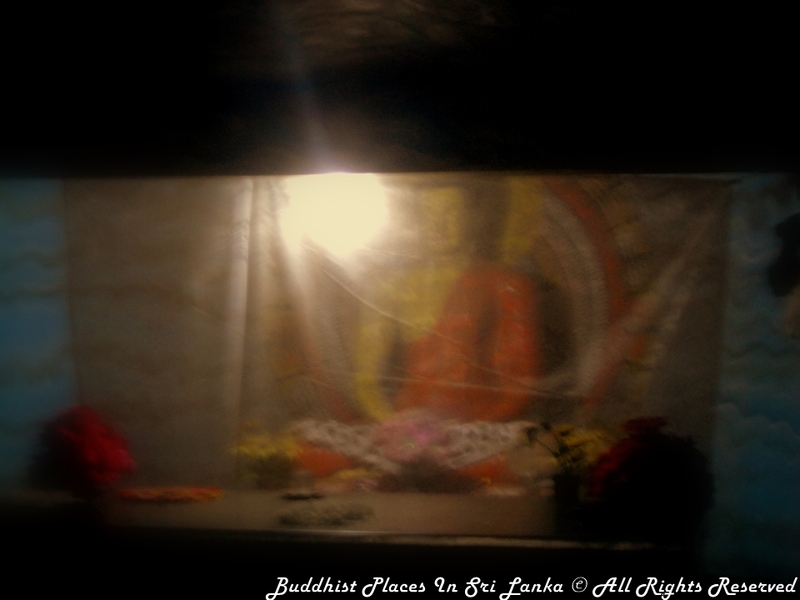 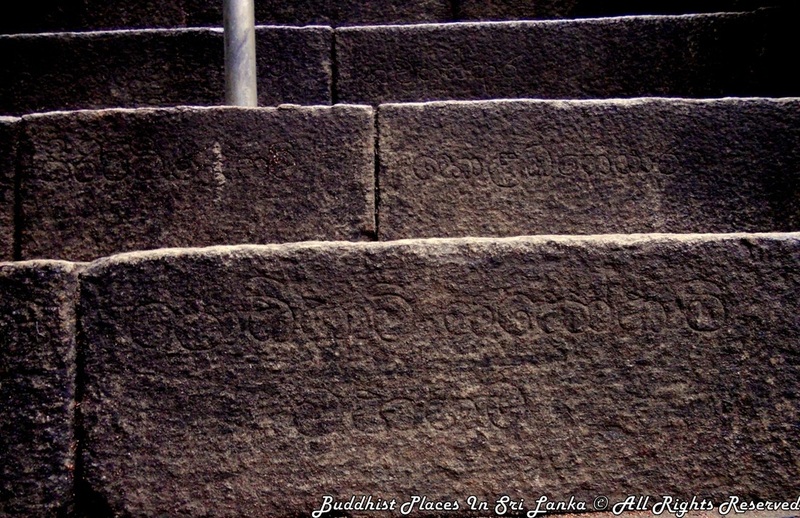 (Temple of conch shell) Caring out excavations Archaeological departments of Sri Lanka has discovered many ruins with historical value such as dens with inscriptions, stone pillars and shrines from the temple premises. 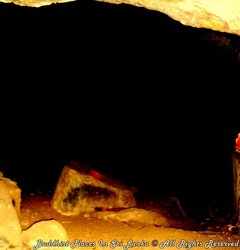 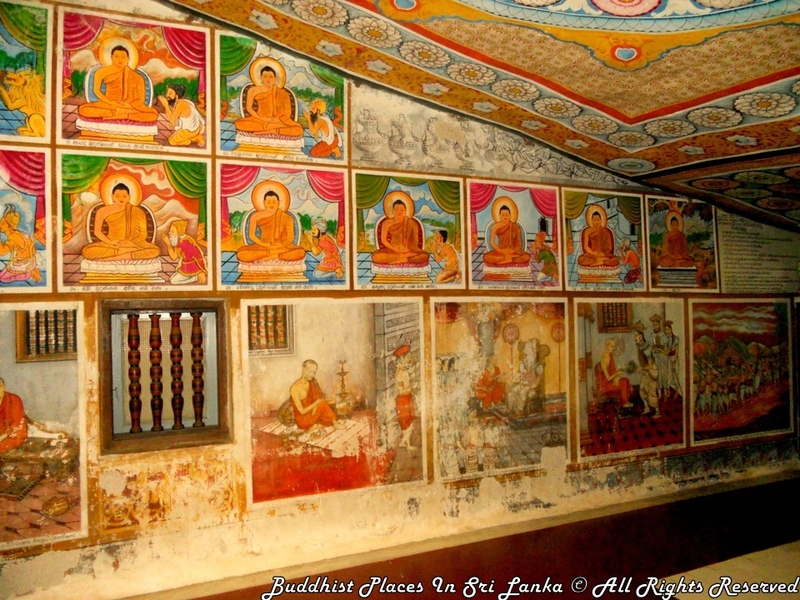 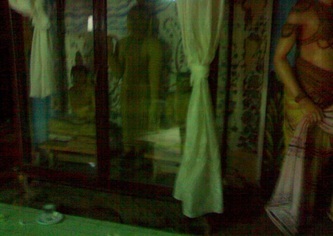 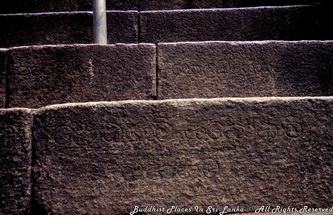 The name "Pussadeva" engraved on the walls of certain dense is an obvious evidence to prove that he lived there. 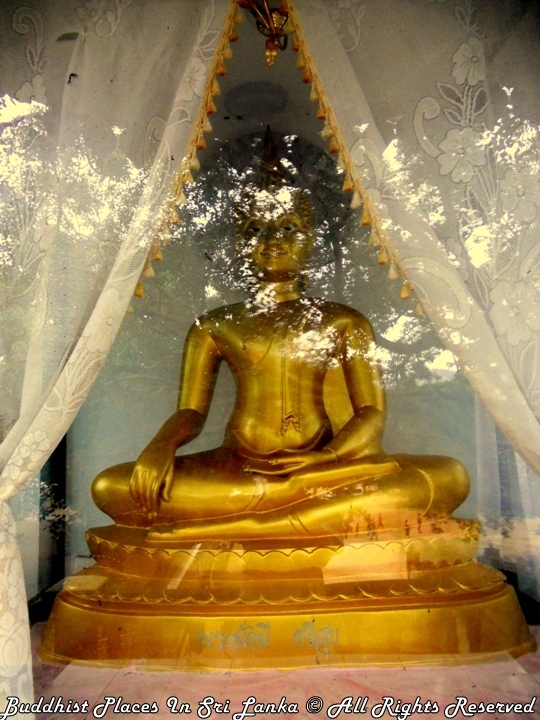 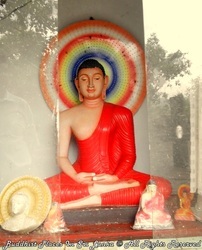 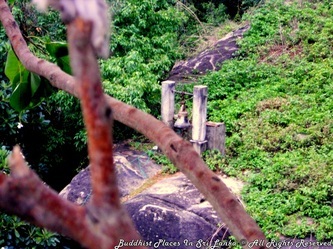 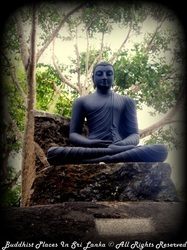 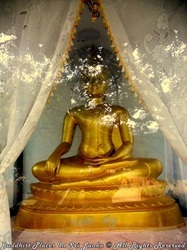 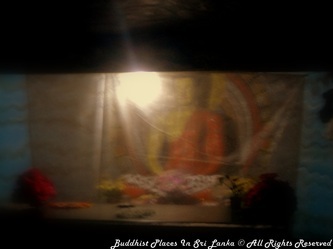 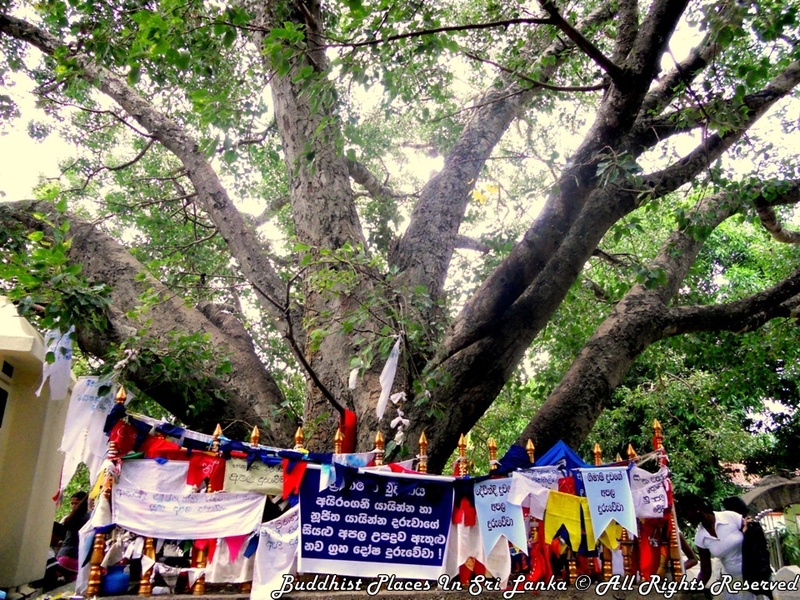 In the past this land where had been a prosperous area was under gone enemy invasions and left an isolated thicket in the middle of the jungle.According to the priests in the temple, having been destroyed the temple by certain treasure hunters called "Mukkaru" , the great statue of lord Buddha, which was 27 feet in height had been dragged on and put into the near by river (Rakwana river). 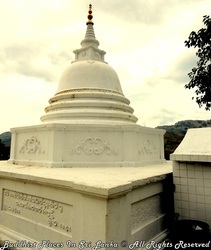 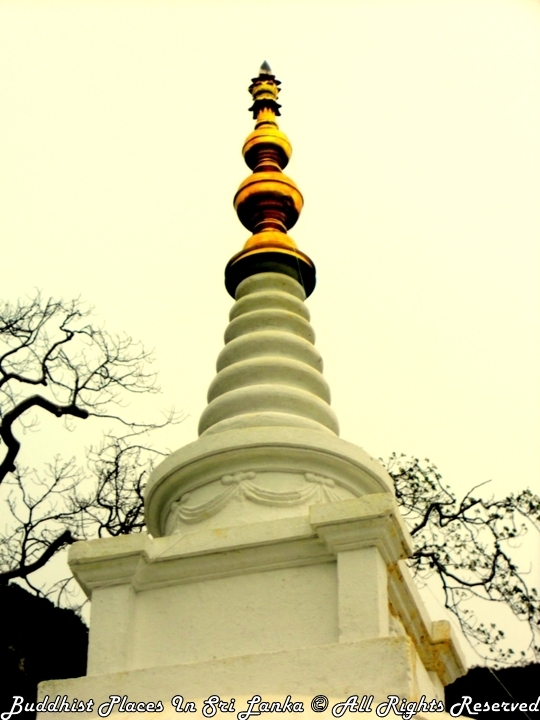 Again during the reign of Kandy king Rajadhi Rajasinghe this temple was renovated & offered to Karathota Dharmarama thero. The extent of this land grant was 15000 acres. 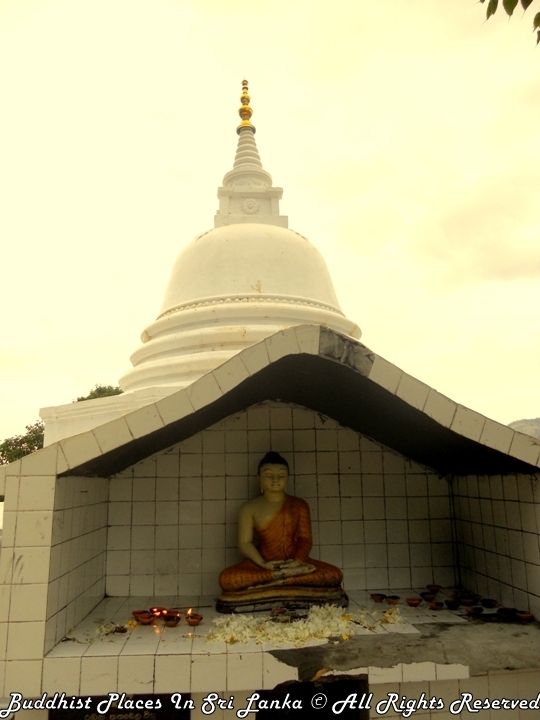 4000 acres had been taken over by the government during the reign of British.The lion flag, Palmyra fan with the ivory handle, golden statue of lord Buddha (8 inches high) and charter mentioned about the offering of land grant are still remain safely in this temple. 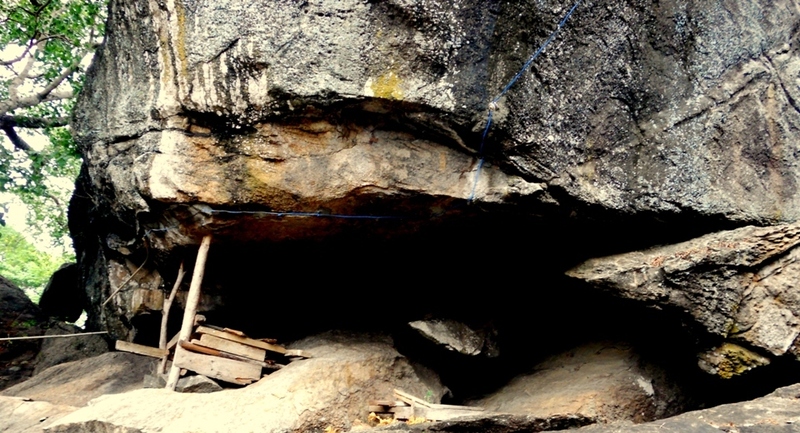 There are 14 dens discovered by archaeological deportment.